CEDAR FALLS, Iowa --- The Clover Patch preschool is doing its remodeling inside out. Or is that outside in? The daycare and preschool, which is an extension of St. Patrick Catholic Church, is nearing completion on a remodeling project for its building at 802 Main St. The decor inside stresses an outdoor theme, including clouds, a pond and a boat, all created with paint or building materials. 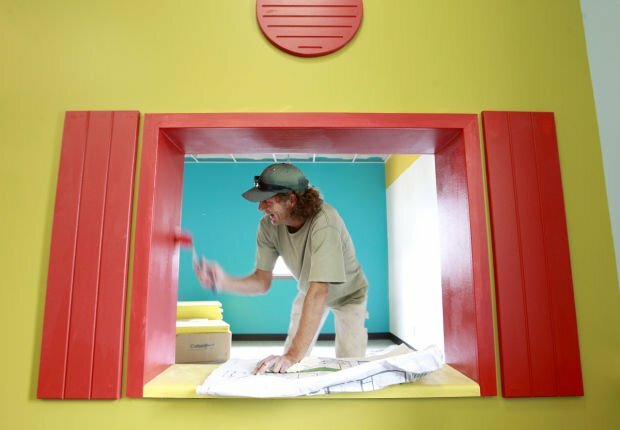 Jill Becker, the designer from Struxture Architects, said the design includes not only the outdoors, but biblical themes as well, with a town painted along a wall that features Joseph's hardware store and an ark in another room, a Noah creation, of course. "We wanted it to be a place for kids to have fun, a colorful place," Becker said. The theme is carried through on the outside, with a lively new paint job including swaths of blue and green and a fresh new sign. St. Patrick has owned and operated the school for more than a decade. However, the building has long been substandard for what they wanted and it was time to change, according to Brad Best of Peters Construction. For Best, this has been a labor of love, since he has been a longtime church member and has a child who attends the school. "The overall idea is to create a new image, a fresh look and maybe attract some new students while maintaining a Catholic focus," Best said. Volunteers helped with the project, doing some painting and demolishing one room. They will put in new landscaping around the building. Regena Huffman, the church business administrator, said the renovation would lead to more little ones in the preschool. "It would be a pleasant outcome. We are open to all," Huffman said. The preschool typically has 60 to 70 children enrolled. The school makes daycare available for those enrolled as well. As part of the remodeling, one wall was removed to allow more usable space. 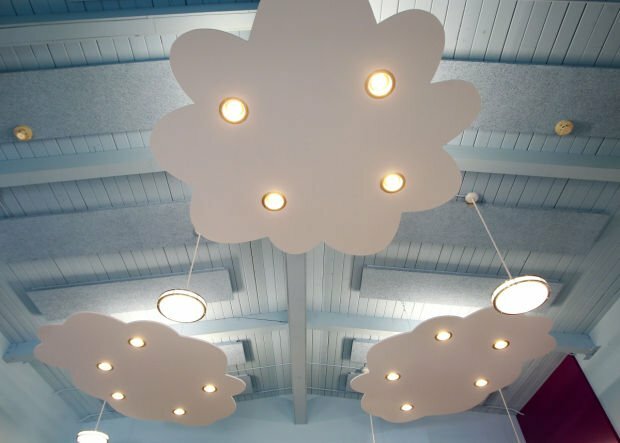 In the main preschool space, the drop ceiling was taken out and the original high ceilings dating back to when the building housed an auto repair shop were restored. Good morning, Cedar Valley! It's Sunday, Aug. 18, 2013.